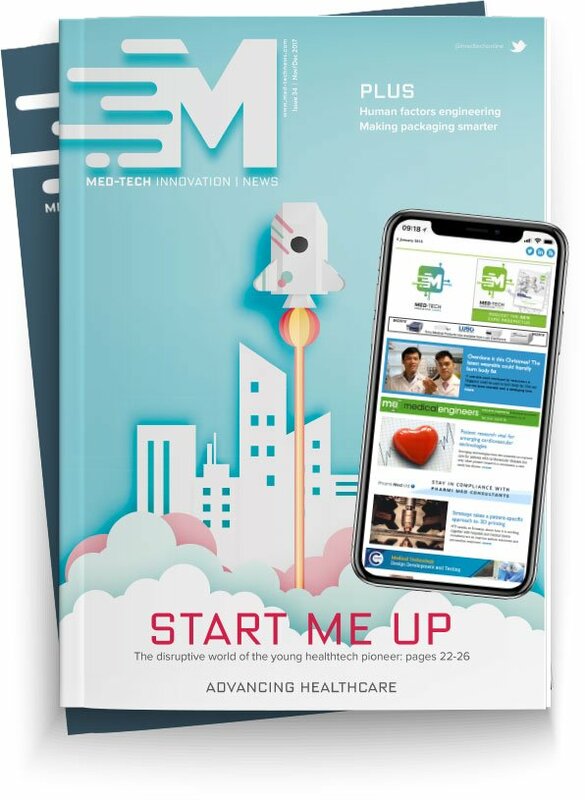 Ronan Benson, senior industrial designer at Galway-based medical devices design and manufacturing group Synecco explains why you can’t afford to ignore integrated smart technologies. More and more of the products we interact with everyday are becoming smart devices. It could be your inhaler, your pill dispenser or even your clothes with integrated smart textiles. A wealth of user data will soon be available and the utilisation of this data will define the future of personal healthcare. Therapies and prescriptions will soon be monitored through smart devices. Furniture could detect developing pressure sores, wearables could monitor heart rates or implantable devices could be tracking and treating chronic conditions. Cloud based healthcare will improve outcomes and reduce inefficiencies in the system. Your doctor will connect with your local healthcare centre which will monitor and track your health and lifestyle through a myriad of new devices which are currently under development. Compliance will be traceable and your wellbeing will be monitored continuously. The goal will be to keep people healthier for longer and away from acute hospital care. As populations age in the developed world, these strategies will be essential in preventing our health services from being overwhelmed. In this new interconnected world, user data will be a valuable commodity, but it will also bring with it a suite of regulatory and security concerns. Personal medical data is very sensitive and its encryption, storage and use will bring up a host of questions for both the industry and the individual. In other industries, the value of user data is well known. Entities like Apple, Alphabet and Amazon know the massive potential that connected health represents and they are moving into this space rapidly. Right now, it’s easier for MedTech companies to access a sophisticated data system in the cloud than it is for the data companies to access the human body, but this won’t last long. Soon, this access will become commoditised if MedTech doesn’t figure out a way to ringfence it from a regulatory and IP standpoint. Unless the medical device industry has a robust data monetisation strategy, companies such as, Amazon or Google will monopolise the medical industry’s data. Traditionally the medical industry is slow to adapt to new trends, however a catalyst for change is due to be implemented in May 2018. The General Data Protection Regulation (GDPR) is a regulation by which the European Union intend to strengthen the data protection for all EU citizens. The GDPR is the most important change in data regulation within the last 20 years. Any information related to a data subject (i.e. a user) that could identify that person is covered under these new regulations. It could be a name, a photo, posts on social media or medical information. The GDPR not only applies to organisations located within the EU but also to organisations located outside the EU who provide goods or services to EU citizens. Under these new rules, organisations must show full trackability on any data possessed on an individual. If found in violation of the new act, an organisation could face a penalty of up to 4% of total worldwide annual turnover of the preceding financial year. Now is the time to embrace user data and implement strategies to manage and utilise it appropriately. For many organisations the challenge is not how to deal with user data, but is instead how to move into this new space. If your business is based around plastic components with no integrated technology, connected health can seem intimidating. How do you approach it? What do you monitor? Do you hire specialist staff or outsource the necessary expertise? Collaboration is the key and Ireland is overflowing with expertise in every aspect of smart device and traditional medical device development. Getting these differing skillsets working together with a common purpose will be essential in maximising the potential of connected health.